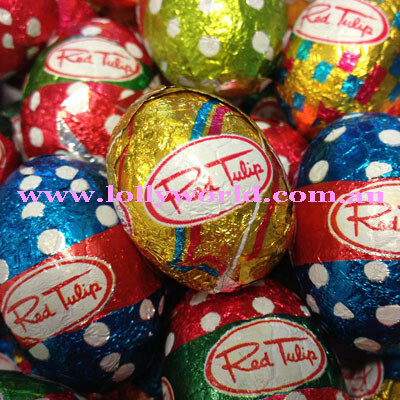 Red Tulip Mixed Mini Eggs contains caramel filled and solid milk chocolate mini eggs. Perfect for Easter egg hunts, corporate functions or just to snack. There is usually a minimum of 40 eggs in the 400g bag and 90 in the 916g bag. The quantity can vary as the 2 different eggs are different weights. The solid chocolate mini egg is 8g and the caramel filled egg is 12g.